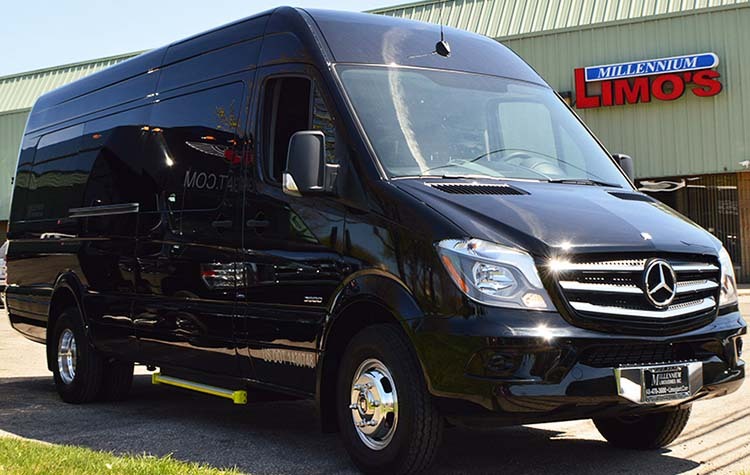 We have two Mercedes-Benz Sprinters, one with a black exterior and one with a silver exterior. 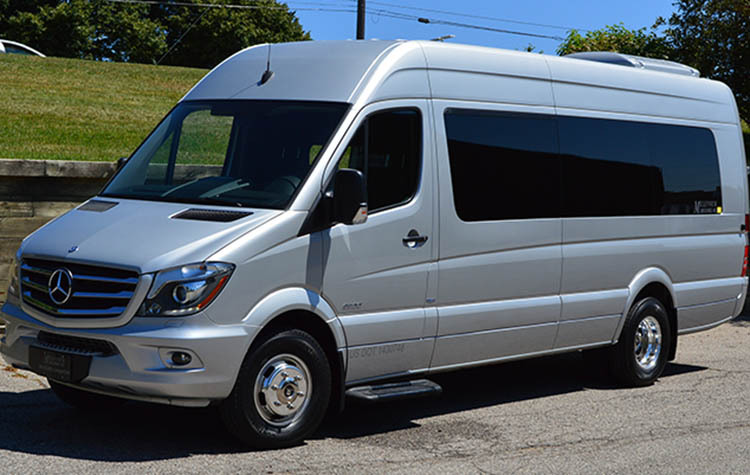 These are the perfect vehicles for small parties, the Mercedes has a maximum seating capacity of 14 passengers. 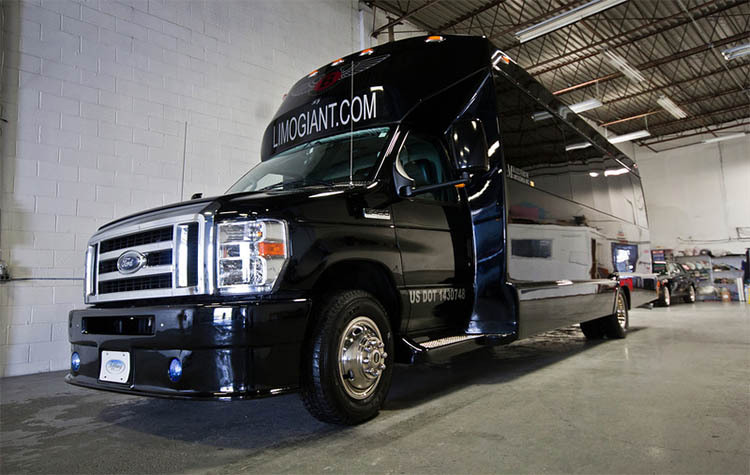 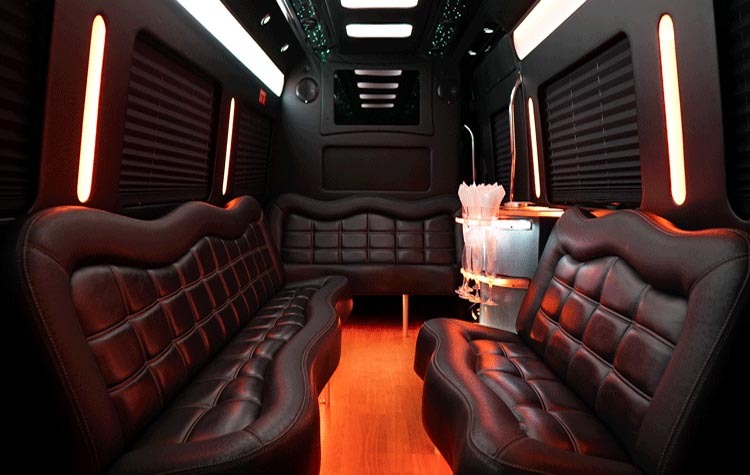 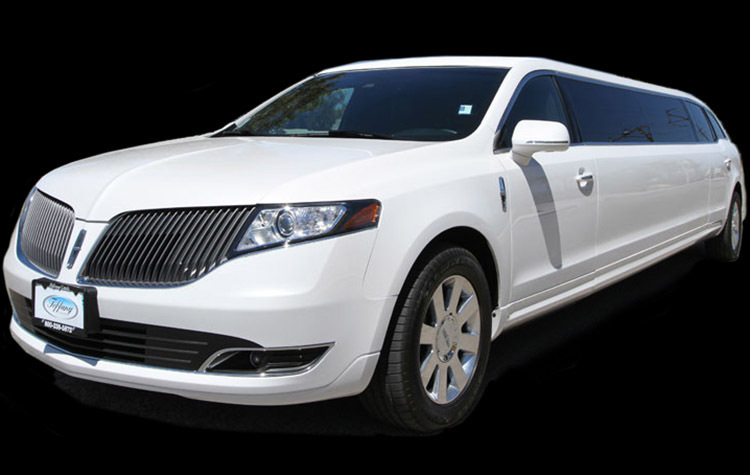 Our Sprinters have the same luxurious interior as a bigger party bus but on a smaller scale. 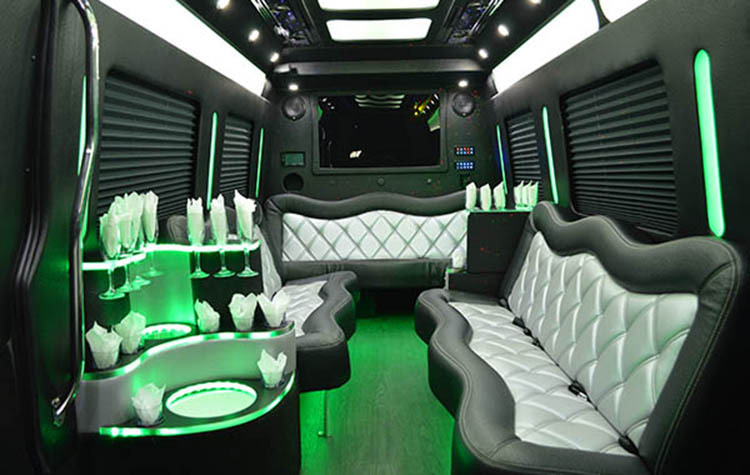 With the Mercedes Sprinter you have the ability to stand up and move around to really enjoy your celebration. 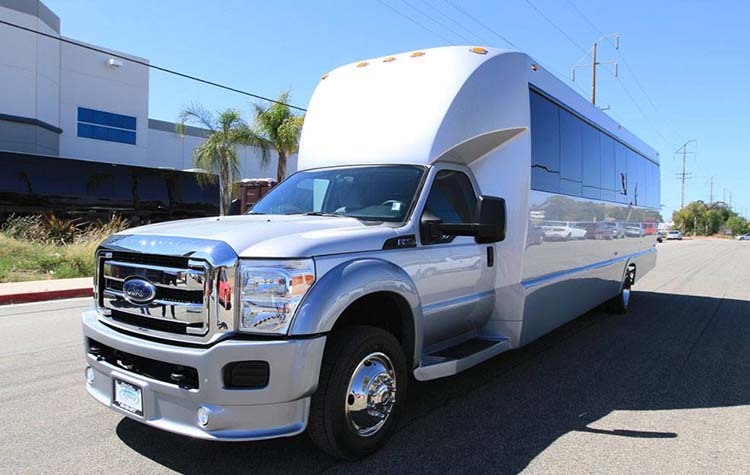 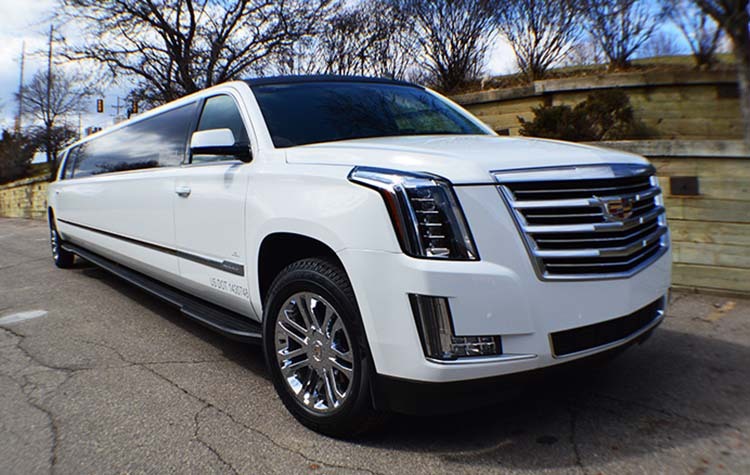 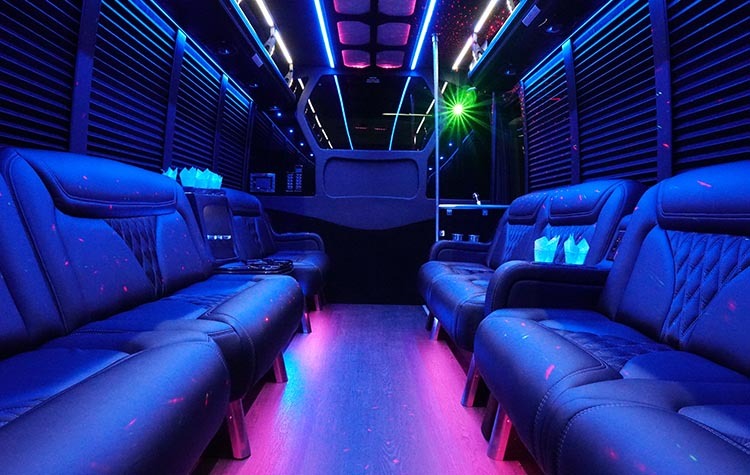 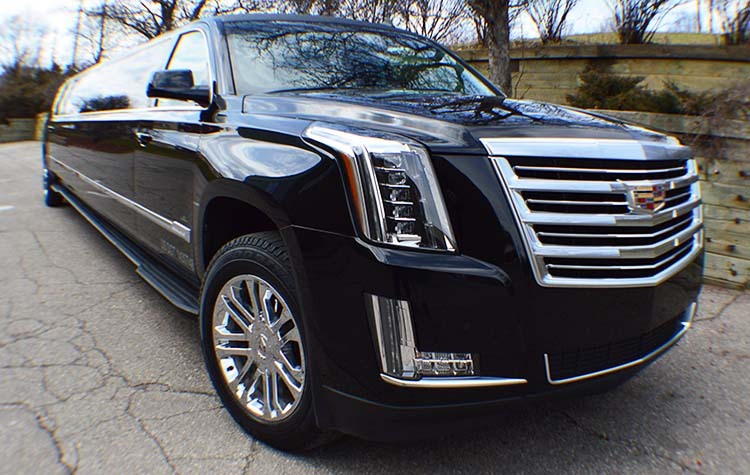 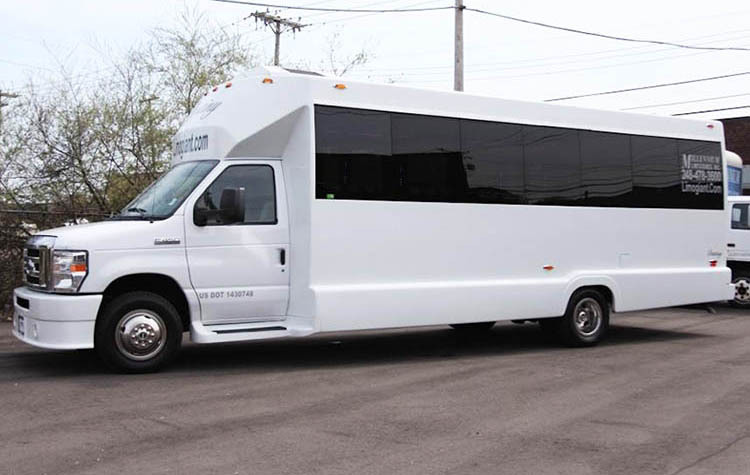 The Sprinters come loaded with full fiber optic lighting, a hardwood dance floor, a 2000 watt sound system, a stainless steel ceiling, an auxiliary port for your music connection, and a bar area for your beverages.